As the CAEP Equine Coordinator, I am able to bring together some of my greatest passions and beliefs into work every day: horses and the opportunities that J1 programs present. I joined the CAEP team in October 2004 and love that I get to help young adults begin the experience of a lifetime every day. 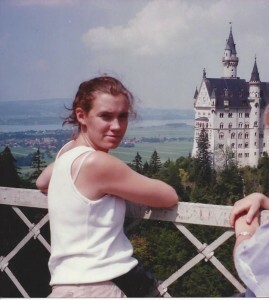 I am originally from Canada, now living in Kentucky, and have traveled all over the world including numerous trips to Europe. I lived in Australia for three months during a round-the-world trip. Being fluent in a second language, French, made traveling a whole new experience for me. It really opened up more doors and I was able to expose myself to a whole new culture that tourists wouldn’t have been as exposed to. Being a world traveler prepared me in the best possible way to be a CAEP Coordinator. The more world knowledge, the better I can relate to CAEP participants. Horses have always been a passion of mine. I began taking riding lessons when I was 11 years old and competed in Huntseat as a teenager. Over the years, I have taken lessons in Hunter, Jumper, Dressage, Cross-Country, and even Endurance Riding while I was living in Australia. I completed a 50 km ride on a Pacer named Arthur, which was definitely an experience of a lifetime! From there, I completed an equine program in La Pocatiere, Quebec from 1993-1996, with a practicum at Haras de Beaupre in Hunter/Jumper. 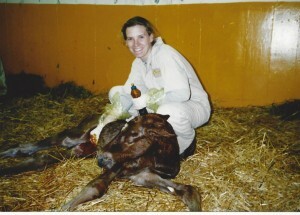 I moved to Paris, Kentucky in 1996 to work with Thoroughbreds at Claiborne Farm. I worked at various Thoroughbred farms in the Lexington and Virginia areas in all facets of the industry, which allowed me to really gain a deep understanding of the equine world. 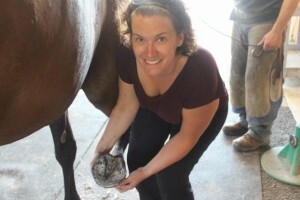 After some brief time off with two toddlers, I began working at CAEP in 2004, in the Equine Office and am still here, going strong! Even before I began to work at CAEP, I was a firm believer in the J-1 program because I have seen the great things that can come from doing an international program, both in terms of career building but also relationships that form. A number of my close friends participated in J-1 programs and I saw what a positive impact it had on their lives. In January of 1997, my future husband, Grant Williamson, came over to the United States from England on a J-1 Equine program. The experience he gained and the contacts that he made on his J-1 program really helped to mold his Equine career. 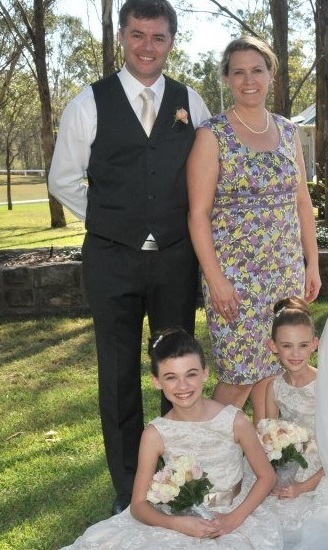 He and I met in November 1997 and married in October 1999. We have two great kids together and it is because of him joining a J-1 program that we had the opportunity to meet! My personal experience with the J-1 programs makes me a true believer in the programs and the experiences that people can gain from them. J-1 programs are not only a life-changing experience for the participant, but also for the people that they meet while in the US, or abroad in another country. It is a unique opportunity to gain new skills, develop lifelong friendships, and also develop future business contacts. The Equine world is international. Internships and training experiences in the USA are recognized to be an integral part of resume building and can really further the careers of participants. Every day I am able to help CAEP participants start their journey and careers!